This recommended new tuning raises the Matched Reciprocal™ tuning up a whole step, retaining the reciprocal lettered note relationships between bass and melody string groups. 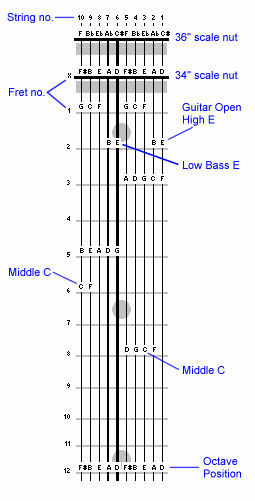 Considering each side alone, the melody is raised back to "Classic" tuning and the bass is raised a whole step higher than Classic, all with slightly thinner strings to correspond. This is Emmett's favorite tuning on his dark bamboo "Ten-String Grand" and on the new 10-string Railboard™ Stick model.